Fidel Castro’s Enduring Environmental Legacy. “Tomorrow will be too late to do what we should have done a long time ago,” said Fidel. Fidel’s commitment to education and health care stand out as monumental achievements for Cuba under his decades of rule. While he emerged as a stalwart of anti-imperialism and anti-capitalism, his commitment to environmentalism and Cuba’s achievements in the area gets less attention. Cuba is one of the few developing countries that has shown a strong commitment to the environment and sustainability, despite a number of obstacles such as the ongoing U.S. blockade. 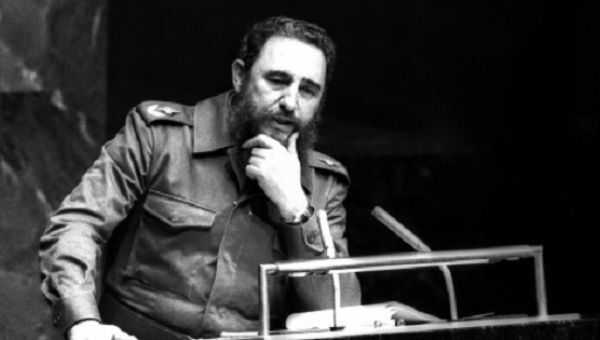 Before the dangers of climate change were well established within scientific and indeed popular knowledge, Fidel spoke of the need to radically change the way societies interact with their environments. Because of a reforestation program which started in 1998, forests make up 30.6 percent of the island nation’s land area, and the country has been able to maintain sustained forest growth, according to Cuba’s National Officer of Statistics and Information. Cuba has the highest proportion of its forest designated for protective functions in Latin America and the Caribbean, according to the Food and Agriculture Organization of the United Nations. The province of Pinar del Rio is covered by 47 percent forests, and Guantanamo with 46.7 percent. When Fidel claimed victory in the Cuban Revolution in 1959, only 14 percent of Cuba was thought to be covered in forest. Spanish colonization and foreign-owned timber and sugarcane industries played significant roles destroying significant amount of forest, which was estimated at around 90 percent before the Spanish landed on the island. In a country blessed with year-long sunshine, Cuba has begun to invest more in solar technology and has planned to expand its program across the island which not only helps reduce pollution but save money. The Pinar 220 A1 solar park near Pinar del Rio in western Cuba uses 12,080 solar panels to generate an average of 13 megawatts per day to national electricity grid. In its first year of operation, it produced almost 6 gigawatts of electricity, which would have otherwise cost over half a million dollars to produce in a thermoelectric plant.